Hardly anyone will disagree with saying that the AR15 is one of the most popular, if not The (with capital T) most popular choice with shooters today. 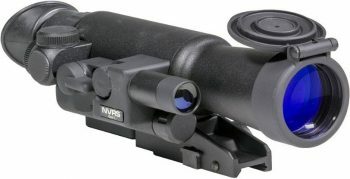 Consequently, there’s been an exponential rise in the number of accessories, scopes included, specific to the platform. 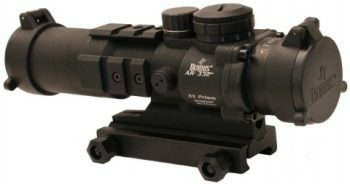 So, what is the best night vision scope for my AR15, you’re asking? There’s not an easy answer to this question, considering the sheer amount of choices and variables. Plus, there’s just so much technical babble coming from manufacturers that only an NRA exec could wrap their heads around. Still, we took some time and did the legwork so you wouldn’t have to, and picked 7 of the best AR15 scopes today. Naturally, we took the time to find a little bit of something for everyone and their budget. Just like with buying any other product, it’s important to know the ins and outs of night vision scopes to be able to make an educated decision. For this reason, we made a short list of the most important specs and features you’ll need to keep your sights on when shopping. 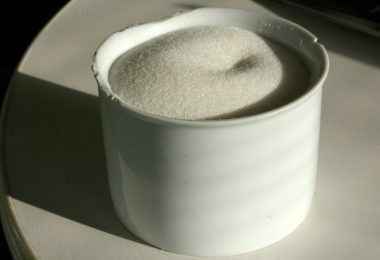 And now that the obligatory pun is out of the way, we can continue with the article. A scope is only as strong as its mount system, as without a properly fitted connection, even the most expensive scope is pretty much useless. Even if you’re working within a strict budget, this is not something you’ll want to skimp out on. Speaking specifically about AR-type models, you’ll most likely be looking at some sort of rail system – Picatinny or Weaver. Now, although these have the same profile, they do differ in the number of slots, their placement, as well as dimensions. A good rule of thumb you could apply here is that oftentimes, a system designed for Weaver rails will be compatible with Picatinny. On the flipside, a system designed to be compatible with Picatinny rails won’t always suitable for Weaver. The fact of the matter is that recoil will cause the scope to lose zero at best or completely fail (as in, the insides will fall apart), at worst. That’s why most manufacturers give recommendations for the max recoil the scope will handle. Sight aid goes well beyond crosshairs these days, so you can opt for red dot optics or laser, or both. With the former, you’ll be able to shoot at a faster pace than you would with open sights. Of course, if you do go for a red dot, you’ll also have to have backup iron sights, just in case the dot fails you. Also, night vision scopes from Gen1 and upwards will often come with built-in infrared (IR) illuminators, which make a world of difference in pitch black conditions. Short of that, they’ll have integrated mount rails, so you can add a dedicated IR light. The field of view is diametrically opposite to the magnification, and the more magnification you have, the less you’re able to see what’s going on down the range. If you’re deciding between more magnification and bigger field of view, always go for the latter. Considering you will probably spend a decent amount of time carrying your AR 15 with all the attachments on, the weight is a considerable factor. Naturally, just as grandpa used to say – if something’s heavy, it’s expensive, and this certainly applies to scopes. On the flipside, it’s also a good indication of quality. To take some weight off your shoulders, we did an in-depth research into the best night vision scopes for AR 15, with all types of budgets in mind. Feel free to take your time reading them, just as you would with taking the perfect shot. If you’re looking for a cheap night vision scope for your AR15 that won’t make you sorry for spending the dough, then you just might want to check out the Pinty Reflex Red Green Dot . Still, despite the surprisingly low price, the scope will do a great job of holding up the recoil of your AR15 thanks to the sturdy aluminum body (the only thing that’s made of plastic are the flip-ups). It holds zero consistently, even if you remove it and mount it back on. Depending on the iron sights you have on your AR, you can have them cowitnessed, so you won’t have to make any windage and/or elevation adjustments. Although, on that note, the windage and elevation knobs are easy to dial for a precise adjustment. As for compatibility, the Pinty Reflex works with any standard 20mm Picatinny or Weaver rails, and there are five slots from one fastener to the other. To continue, there are two colors – green and red, with five brightness levels each, though there is little difference for the green one (except between the lowest and highest level). Conversely, the red dot is better in this regard, but it’s also quite brighter than the green one in any setting. 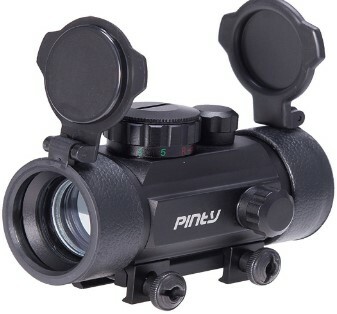 Related: Pinty also makes nice cheap scopes for daytime shooting, such as the illuminated reticle scope Pinty 2.5-10×40 AOEG Mil-dot Rifle Scope or the Pinty Holographic Tactical Riflescope, if you want to go for an even cheaper version. The AR15 Tactical Rifle Scope C4-16x50EG is pretty much what it reads on the tin – a very well made scope/red & green dot/ red laser combo. It’s made of a sturdy T6061 aluminum alloy, with fully coated optical lenses, which makes it fully shockproof. The scope comes in two flavors, the 4-16x50EG and the somewhat cheaper 4-12x50EG, the main difference being the magnification (4x–16x for the former, 4x–12x for the latter). Both, however, come with an Allen wrench to let you make adjustments on the windage and elevation. Either way you choose, you’ll be getting a scope that is compatible with any standard 22mm Picatinny or Weaver rails. On that note, the scope itself features integrated side rails, which allows plenty of space for accessories. 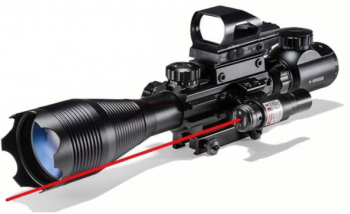 The holographic sight mounts either on top of the scope or separately, and features four different types of reticles, as well as brightness intensity controls (5 levels in red and green). The red laser point is certainly of help in low light conditions, though it’s a bit unfocused past the 30-yard mark. Still, the max range is about 100 yards, and it’s clearly visible. Related: If you’re short on gun slings, you might want to check out the Accmor 2 Point Rifle Sling, which is available in nine different color/clip combos. Also, seeing the scope is ideal for long range use, you might want to get the CVLIFE 6- 9 Inches Tactical Rifle Bipod to get the maximum stability and accuracy. The Sightmark Photon XT is hardly the cheapest night-vision scope you could get for your AR 15, but it’s certainly one of the best values for money you’ll get. The scope has digital windage and elevation adjustment, as well as pretty decent 4.6x magnification. Coupled 42mm lens, and with an above-average resolution (640×480), this gives you a crisp and clear view for up to 120 yards or so. The body of the Photon XT is made to be shockproof and weatherproof, so it should withstand a bit of punishment and not fog up at a critical moment. 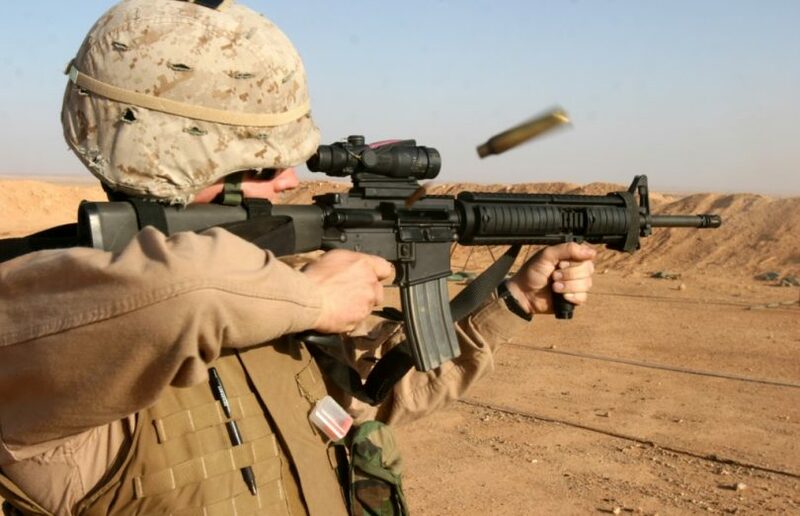 It’s well able to handle the recoil from a .308 gun, no questions asked. Also, it sports an integrated Weaver rail for attaching accessories. Although its main selling point is that it’s great for night-time use, you can just as easily use it during the day. Just remember to leave the lens cover down in order to lessen the amount of light that enters the optic. 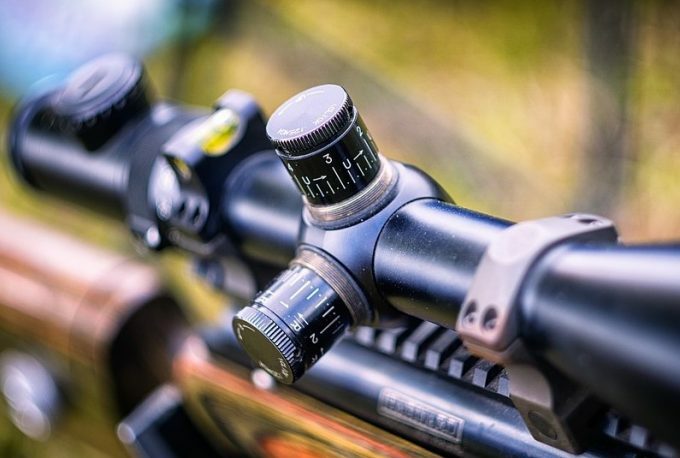 The scope has six styles of reticles – two crossbow, two Duplex (in case you go a-hunting hogs or vermin), as well as a Mil-dot and German-style one (in red, green and white). The built-in IR illuminator adds a whole new magnitude of value to this scope, as it makes anything at about 75+ yard easy to make out. Another key point is its considerable battery life. Depending on how you use it and whether you couple it with a more powerful IR light, the batteries should hold anywhere between 3 and 5 hours. Related: If you want a cheaper option with fewer bells and whistles, Sightmark does make nice reflex sights, such as the Sightmark Ultra Shot. Alternatively, you might want some help with night-time hunting, and the Evolva Future Technology T20 IR Flashlight can certainly help with that. If you’re on the hunt for the perfect night vision scope for your AR15, then the Burris 300208 AR-332 Prism Sight just might be the thing for you. It’s a great budget-friendly option that should mount on just about anything with a Picatinny rail system, as well as an AR carry handle. Now, the scope itself doesn’t have the night vision capability, but with a decent night vision attachment, the problem is easily remedied. 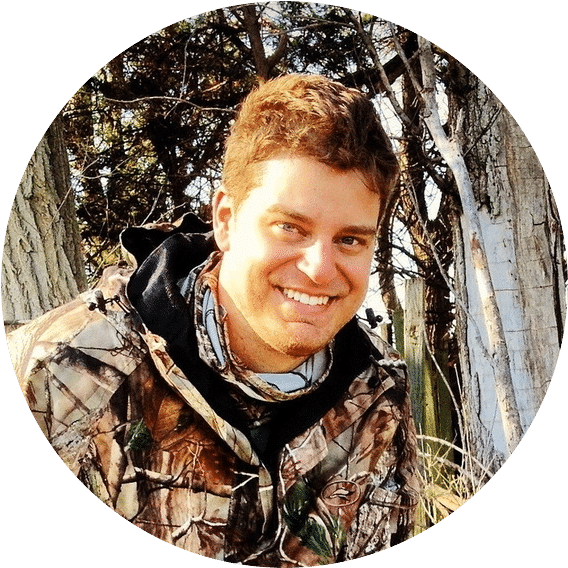 It does have a 3x prism magnification, which works great on 100–300 yards distance, but on the flipside, it eliminates the possibility of using any sort of backup sights. 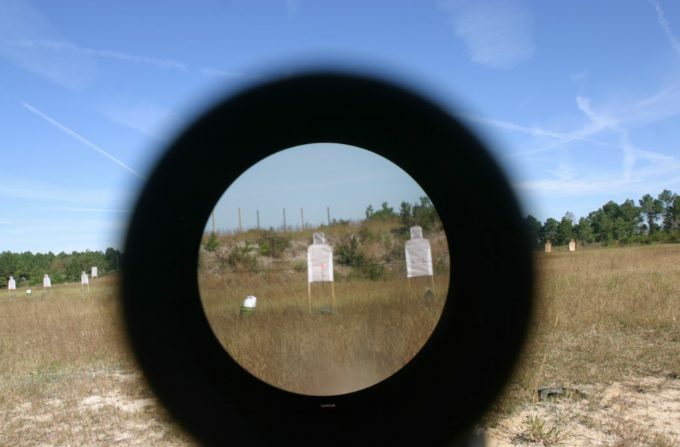 It has a unique Ballistic CQ reticle that was designed for exacting applications such as law enforcement and competitive shooting, not to mention military applications. If you’re looking for a reticle that’s able to match any type of lighting conditions, from a bright sunny day to pitch black night, this is the way to go. On that note, the reticle works both with illumination and without it, so even if your battery runs out, you’ll still have a usable sight. Speaking of batteries, the scope uses the same type you see in wristwatches (CR2032), which should be good for up to 500 hours, depending on how you use it. Related: If you’d rather go with something that’s appropriate for both your favorite rifle and pistol, Burris also makes nice red dot sights, such as the Burris 300234 Fastfire III. Alternatively, if you’d rather get some help to prevent being detected, the Burris ARD-332 Anti-Reflection Device just might be the right thing for you. The thing with the SIghtmark Ultra Shot Reflex Sight is that it’s a great choice for anyone looking for a red dot under 100 bucks, but not much else. The sight is almost completely devoid of any bells and whistles, though it more than makes up for it with construction. The body is made of anodized aluminum, which should withstand some beating without being on the heavy side. in fact, it’s surprisingly lightweight considering its size. On the flipside, it’s not waterproof, so you might experience some fogging. The Ultra Shot is compatible with a number of arms, not only AR15s, but also AKs, shotguns and pistols, and it really comes into its own on airsoft rifles. As a matter of fact, this puppy will fit pretty much anything that has a Weaver or Picatinny rail longer than 3 inches. 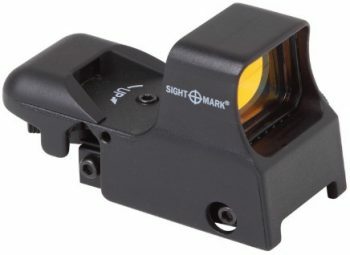 One minor gripe (which is characteristic of the greater part of Sightmark range) is that you only get the red dot with five brightness levels. Speaking of which, these are controlled by a rotary knob, just as the reticle choice (you have four patterns available). Related: If you’d prefer a reflex sight with a digital switch, Sightmark does carry the Ultra Shot Sight QD. Still, other than the digital switch and quick detach system, it’s pretty much the same as the Ultra Shot. For something completely different (and a tad more expensive), try the Sightmark Photon XT 4.6x42S Digital Night Vision Riflescope on for size. Just like the name suggests, the Firefield FF16001 NVRS is a phosphor screen scope designed for night-time use. And before we move on, yes, you can probably use it during daytime, but it will ruin the optic. 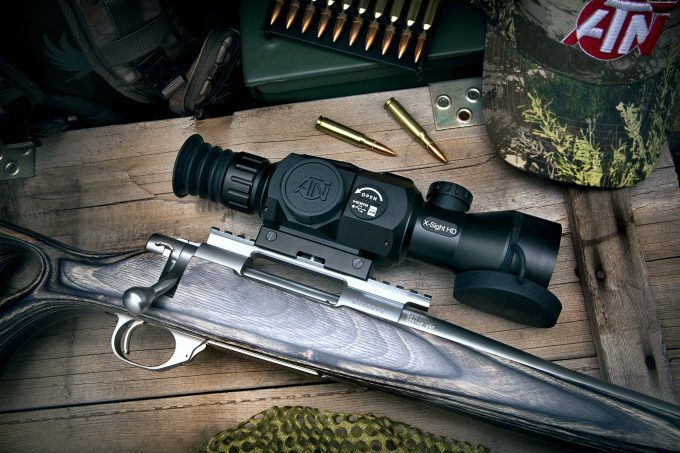 The scope is made of titanium, which makes it fairly lightweight without sacrificing any of the durability. That said, it is a bit on the heavy side, compared to its aluminum and plastic counterparts, but also much sturdier. It does a great job of holding zero even after removing it and mounting it back on. On that note, it is designed for a Weaver system, which means it will fit a Picatinny (if it were the other way round, this rule of thumb would probably not be applicable). The screen features red crosshairs with five brightness levels (six, if you count “off” as a level). These are adjusted using a knob on the right-hand side of the scope. There’s also a built-in IR illuminator, with an effective range of up to 80ish yards, semi-effective up to 100 (anything beyond will require a more powerful IR). On the flipside, the image is crisp and in high res. Yes, there is some issue with the muzzle flash, as it tends to overpower the scope, but the image comes back almost instantly. The FF16001 uses AA batteries rather than those disc type ones you find in watches. 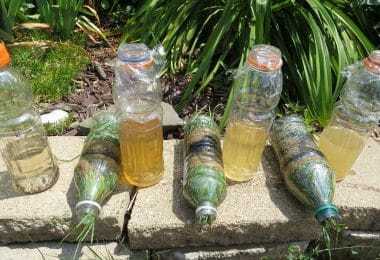 You could use rechargeable ones, but they do tend to peak out too fast. Instead, find a pack of decent alkaline batteries and always keep a spare with you. 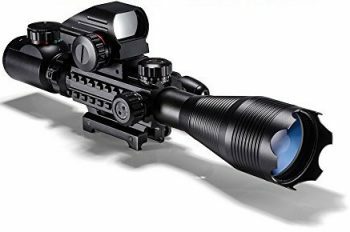 Related: If you’d like something for birght and sunny conditions, Firefield does make nice scopes for daylight shooting, such as the Firefield Tactical AO Riflescope (ring mount). Also, you might like to stock up on lithium batteries for FF16001’s IR, and the Streamlight 85177 CR123A cost next to nothing for a 12-pack. The Tactical Combo Dual Ill is one of the best bangs for buck you’ll find on the market, and comes with sterling reviews all round. The body is made of aluminum, and it’s weatherproof (no fogging up) and shockproof (should withstand some beating). 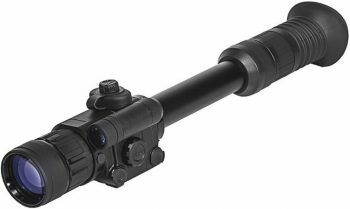 Speaking of beating, the scope doesn’t have any trouble holding zero, and should work perfectly for your AR15 (or AK-47, for that matter). On that note, there should be no problem with installing it with a high A2 front (you might see a blur, but it won’t affect your sighting). It has a wide range of windage and elevation adjustments (1 click equals to .¼ MOA, 44 clicks on the elevation). The scope comes with a dot sight and red laser, and you can run it either as standalone or with both these options attached, whichever floats your boat. Just keep in mind that you’ll need three kinds of batteries – 1xCR2032 for the scope itself, 3xAG13 for the laser and 3xAG3 for the dot. On that note, the main scope will work just fine without any, you’ll only lose the illumination (3 brightness settings). The reticle still shows up, it’s just black – when you power the scope, you’ll be able to choose between red or green reticle. It’s also worth mentioning that the scope has fairly impressive magnification (4x-16x), which does make cowitnessing a tad unfeasible. 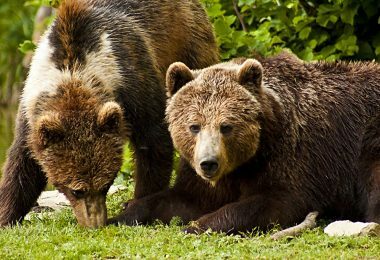 On the flipside, you do get a very workable field of view (about 13–40 feet at 100 yards), as well as a nice big view up to 1,000 yards. Related: If you want to keep still while shooting, then you just might want to get the CVLIFE 6–9 Inches Tactical Rifle Bipod. Also, if you find yourself short on earmuffs, check out the Howard Leight by Honeywell Electronic ones, and pick any of the six colors available. To sum up – although the initial goal was to find the very best night vision scopes for AR15 specifically, we managed to found seven products that could just as well fit an AK47, and an odd one that could be great for an occasional plinking with an airsoft gun. Of course, we’ve done our best to make sure there’s a little bit of something for everyone’s preferences and pockets, so you’ve seen a couple of high-end brands mixed in with an off cheap scope. 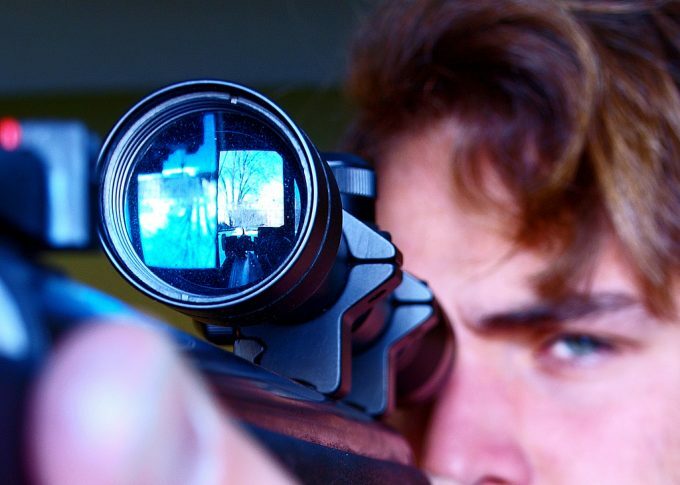 Thank you for taking the time to read through our 7 best night vision scopes reviews. We hope you found them useful and informative. If you have anything to add or suggest, feel free to leave a comment down below. Happy shooting!